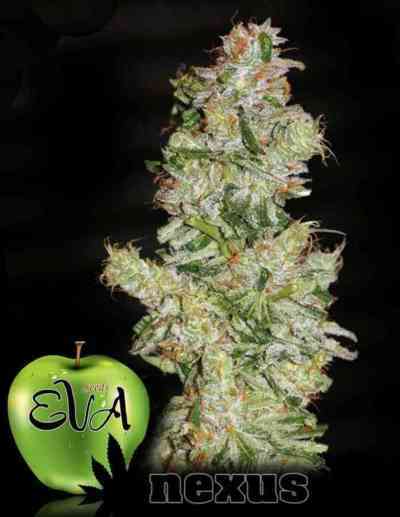 EVA Seeds Nexus Feminized is a cross between a very citric Brazilian plant and a sativa from the blue family. Nexus Feminized is a very dense resinous bud with an aroma of berries and earth. A sativa effect but physically relaxing and creative. EVA Seeds Nexus Feminized does not grow well in high levels of humidity. It is easy to grow both outdoors and indoors. Nexus Feminized is a good plant for both beginners and more experienced growers. Nexus produces a medium yield and can be harvested outdoors end of September/early October. She is not suitable for Sea of Green.